The Silentnight Supreme Mattress Topper comes fitted with a breathable cover that helps to regulate your body temperature, and is available in single, double and king sizes. It's super easy to fit to your mattress - just like a super thick sheet, the topper has elasticated ends that help it to stay in place and stay fitted to your mattress. Putting it on was easy and quick - it literally took about a minute and my mattress felt completely rejuvenated, almost like a new one! 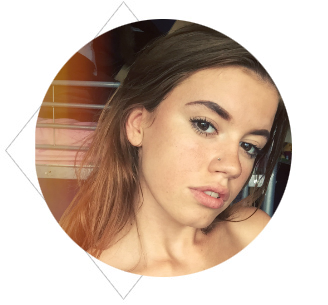 After just the first nights sleep with my new mattress topper on, I could definitely feel the difference - there were no more springs jabbing into my back and I felt like I was actually sleeping on a good quality, comfy mattress. It's also quick and easy to pop in the washing machine for a quick wash and is non-allergenic for those who struggle to sleep on some mattresses. 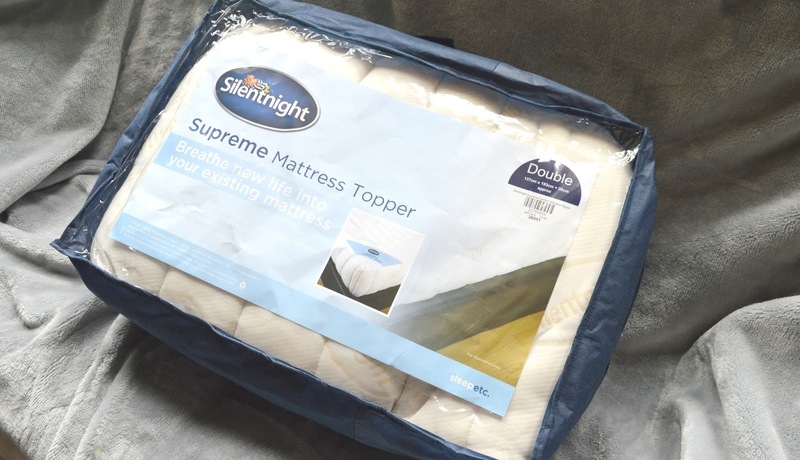 If you're having trouble sleeping on an old or uncomfortable mattress I would definitely recommend purchasing the Silentnight Supreme Mattress Topper. It's completely transformed my mattress and ensured I've been getting enough sleep to make those early 9am lectures. Retailing at £24.99, forget pillows and blankets - investing in a mattress topper may be your best sleepy decision yet! 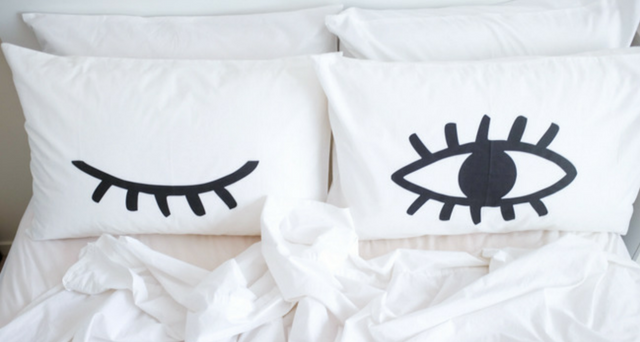 For more tips on getting a better nights sleep, read my Can't Sleep post! I was really lucky when I was a student as I got to live in new builds for years - fresh beds each time (sorry!) so they weren't really a problem. I think a mattress topper is a great idea for rented places anyway as you can make your bed right for you no matter how the bottom bit is :) Glad you're getting to relax better! I don't have one but it's been something I've thought about for my back. This is a really good idea = not everyone has the cash to buy a new mattress and this is a good interim solution. A good mattress and topper is so important for a good nights sleep! They sound great, I love your pillow cases! I love silentnight. They are such a good brand. I recently bought a new silentnight mattress and its so comfy! I REALLY need one of these. My mattress is so springy!! I changed mine very recently and it's probably the best investment I've made so far. I also have a mattress topper to protect it. I don't know why I didn't do that before! I've been thinking about getting a mattress topper as our mattress is a little old but it's expensive to replace. Ohhh, this looks like something I definitely need to revamp my mattress for a while until I move out. :D Great post! Buying a mattress can be a confusing and expensive experience if you don't know what you're doing. But don't worry - if you read this guide you'll be ready to make the right choice. I bought one of these for my daughter as her bed at uni was uncomfy.It transformed it. We just replaced our mattress (and bed actually) and I have to say I don't know how I soley on our old springy mattress that dug into my body every night! This mattress topper is a genius idea and starting from £24.99 it's super affordable for a students budget! That looks like it would be the response to every one the praying! My business is sleep and so the wrong way presently in addition to When i said because of the mattresses. I will be thinking about presenting that an attempt before long. Sounds good, love your pillow case.